Two men discuss their career paths in a female dominated work environment, Nursing. Brian Medley and Zain Rehman talk Nursing shortages, specialty options, salary, and more. Read below to find out more about the interview. Brian Medley, a nurse at Lurie Children's Hospital, and Zain Rehman, a nurse at Advocate Christ Medical Center Intensive Care Unit, talked about their career path. Nursing has historically been a female-dominated field, but men are increasingly pursuing the career. The percentage of men in nursing is still small, only about 9 percent to 10 percent. Resurrection University will host a "Thinking Out Loud" speaker series for men, by men. Nurses are in high demand because of a current nursing shortage. Statistics from the World Health Organization show that the total number of nurses actively working in the U.S. health care field has decreased dramatically since 2000, therefore causing the demand for nurses to increase. Another reason for the shortage is that our country's aging population is generating a growing demand for services such as end-of-life and long-term care. The shortage of nurses crosses all specialties including faculty for nursing education program. That means graduating students can enter a job marketplace that is stacked in their favor. The job opportunities for nurses are expected to grow by 16 percent by 2025. 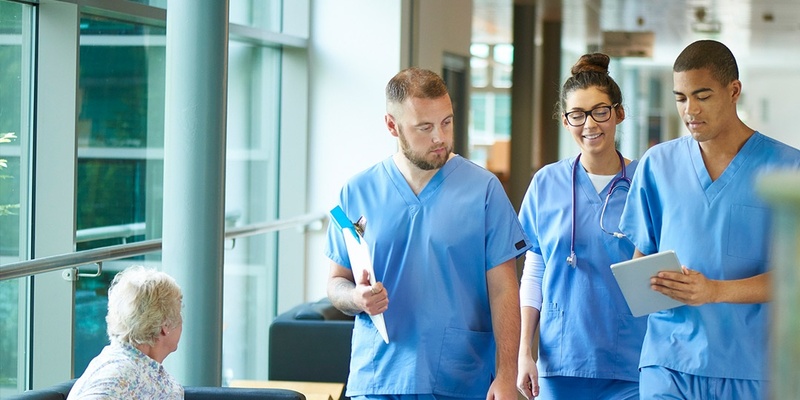 The nursing field offers many different patient care environments, some of which may be particularly appealing to men, such as anesthesia, flight, emergency, or trauma nursing. Other nursing specialties in the field that male nurses may want to explore include middle management, nursing education, nurse practitioner, oncology, psychiatry, pediatrics, and administration. Nursing is not a one-size-fits-all profession; for both male and female nurses, the wide array of specialties makes it possible to pursue one's specific areas of interest in the field. Nurses earn a good living. Nurses in Illinois earn an average salary of $60,000. That goes up for nurse practitioners and those with specialties such as anesthesiology. It's a relatively quick transition to make a comfortable salary. Opportunities for advancement happen more quickly in nursing than in some other fields. Nursing will never go out of style, and they can't be replaced by machines. People will always need medical care no matter what happens in the economy. Nursing requires empathy, resilience, and a capacity for caring... and there's no gender restriction on that.